A very good experience of biking and hiking in the pristine island of Pulau Ubin. Stunning view in Chek Jawa and some of the lakes, with interesting view over the mangrove trees. Our tour guide did a great job in covering all the must-see places in this island, at our own pace. Very relaxing indeed. 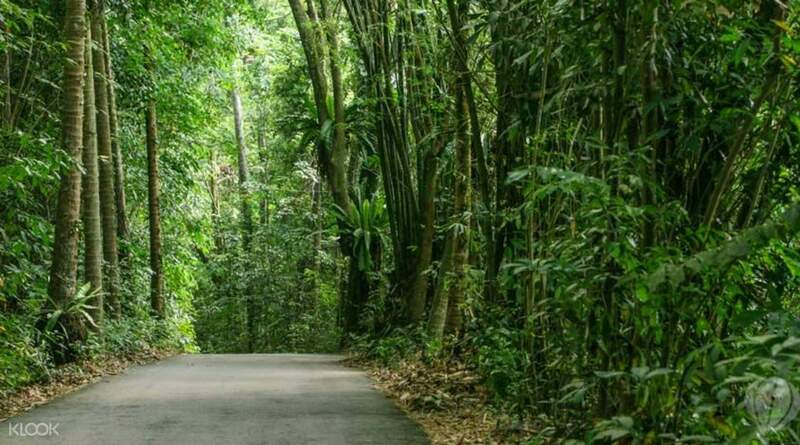 Breathe in the fresh scent of nature and enjoy the sights of wildlife and rustic old villages of Pulau Ubin. With the company of playful and passionate guides, you're guaranteed a wild and fun time in the outdoors as you cycle deep into the island. Be greeted by friendly local villagers as your guide tells you about the area's history. Encounter a Malayan water monitor or hornbill, and watch out for hungry boars and mischievous monkeys! The trip's filled with photo stops for you to capture the place's breathtaking natural backdrops, ensuring mementos of a unique Singaporean biking adventure. 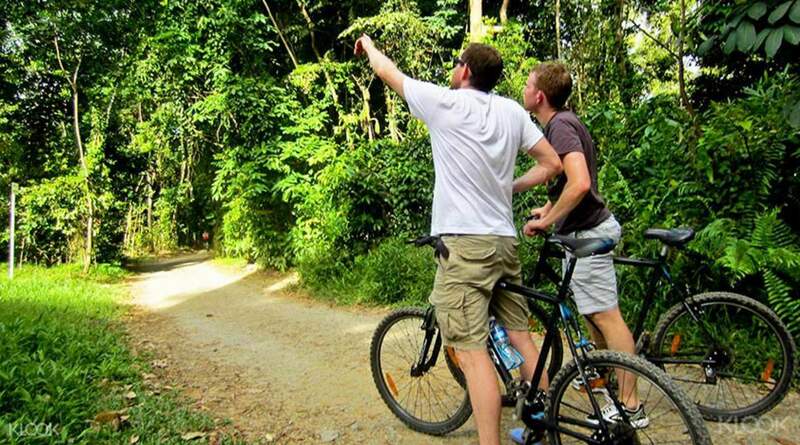 A very good experience of biking and hiking in the pristine island of Pulau Ubin. Stunning view in Chek Jawa and some of the lakes, with interesting view over the mangrove trees. Our tour guide did a great job in covering all the must-see places in this island, at our own pace. Very relaxing indeed. A very good experience of biking and hiking in the pristine island of Pulau Ubin. Stunning view in Chek Jawa and some of the lakes, with interesting view over the mangrove trees. Our tour guide did a great job in covering all the must-see places in this island, at our own pace. Very relaxing indeed. Really great day! We saw all the sights of Pulau Ubin and our guide, Tom was awesome at making sure we were going at the right pace for the group. We are already planning to return and do the kayaking trip! Really great day! We saw all the sights of Pulau Ubin and our guide, Tom was awesome at making sure we were going at the right pace for the group. We are already planning to return and do the kayaking trip! This was an excellent experience we had. Our guide, Fadil was fantastic, very knowledgable as well as entertaining. A trip around the island was so worthwhile as it gave an insight into the original way of life in Singapore (in Kampong villages). This is definitely a must do. This was an excellent experience we had. Our guide, Fadil was fantastic, very knowledgable as well as entertaining. A trip around the island was so worthwhile as it gave an insight into the original way of life in Singapore (in Kampong villages). This is definitely a must do. Knowledgable, local, guide. I did the bike tour. While it very easy to rent/hire a bicycle on the island, it would rather hard to know where to go. While the whole place is interesting, it was much, much better to have a guide who knew where the wildlife would be found, and knew the other points of interest. It was also good to have someone who could tell when there was giant hill ahead (either up or down). I only did the biking, but the paddle tours through the mango groves also looked really good. I was advised to get serious bug spray--which I did--but I did not see one insect. Knowledgable, local, guide. I did the bike tour. While it very easy to rent/hire a bicycle on the island, it would rather hard to know where to go. While the whole place is interesting, it was much, much better to have a guide who knew where the wildlife would be found, and knew the other points of interest. It was also good to have someone who could tell when there was giant hill ahead (either up or down). I only did the biking, but the paddle tours through the mango groves also looked really good. I was advised to get serious bug spray--which I did--but I did not see one insect. Spent a wonderful day biking and hiking around the island of Pulau Ubin. Our guide was full of great stories about the island and it's history and mythology. I would highly recommend this trip. Of course you can save money and rent a bike and go solo - but you won't see half as much as we did, nor would you have learned as much about the island an it's people and wildlife. Highly recommended as a break from the people and shopping of Singapore. Take the early booking, because even the island fills up by mid-day. Spent a wonderful day biking and hiking around the island of Pulau Ubin. Our guide was full of great stories about the island and it's history and mythology. I would highly recommend this trip. Of course you can save money and rent a bike and go solo - but you won't see half as much as we did, nor would you have learned as much about the island an it's people and wildlife. Highly recommended as a break from the people and shopping of Singapore. Take the early booking, because even the island fills up by mid-day. The ride was from 9.30am to 1.30pm, and we were taken all over the island, including to the Chek Jawa wetlands, full of birds and other wildlife. We saw a mother wild boar and her baby which was a highlight. The bike trail is mostly on the bitumen roads, but a number of off road tracks were fun for exploring, particularly the track around Ketam Quarry. The guide was so knowledgeable and we learnt so much about the island and Singapore life itself. I would say that this was one of the best days in Singapore that we had. If you want to get away from the shopping centres and experience the beauty of the natural surroundings, and you like riding, do this trip. It wasn't difficult. Beginners could easily do it. They tailored it to our needs. As part of the tour, we had local coconut juice on our refreshment stop. Finishing with great black pepper crab at the seafood restaurant on the island was fabulous!! The ride was from 9.30am to 1.30pm, and we were taken all over the island, including to the Chek Jawa wetlands, full of birds and other wildlife. We saw a mother wild boar and her baby which was a highlight. The bike trail is mostly on the bitumen roads, but a number of off road tracks were fun for exploring, particularly the track around Ketam Quarry. The guide was so knowledgeable and we learnt so much about the island and Singapore life itself. I would say that this was one of the best days in Singapore that we had. If you want to get away from the shopping centres and experience the beauty of the natural surroundings, and you like riding, do this trip. It wasn't difficult. Beginners could easily do it. They tailored it to our needs. As part of the tour, we had local coconut juice on our refreshment stop. Finishing with great black pepper crab at the seafood restaurant on the island was fabulous!! Had a great time. The guide was very considerate of our ages (72 and 71)' but we managed the ride with some walking. Had a great time. The guide was very considerate of our ages (72 and 71)' but we managed the ride with some walking.